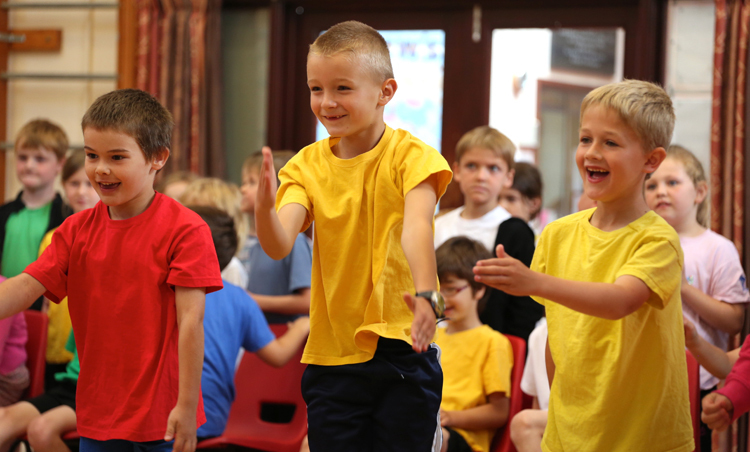 1,300 Primary Schools nationwide receive a visit annually: that’s over 350,000 kids each year who will forever remember the day an International or Olympic athlete dropped into their school! 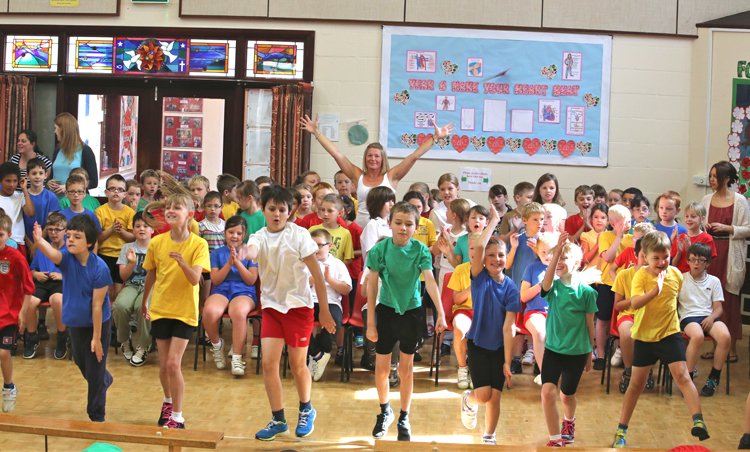 Each of those 350,000 kids will have taken part in an exciting fitness circuit with an athlete and enjoyed an inspirational assembly. The outcome is a great sense of achievement, and being part of a scheme that has helped to raise over £2.6m for schools and sports equipment to date! Push-ups. Don't you love them? Actually, if you're a child doing the fitness circuits with a top athlete, the answer is a resounding yes! The only question is how many? We have stories of previously non-sporty children running up to a teacher in the playground a month after the event to show off the number of push-ups they can do. Push ups are fun activities for kids. They are also a safe and effective strengthening exercise for muscles and bones that are still growing! Look at me! It's one of those events that every child gets stuck into: no matter what they think, the only thing they want is to do it again! The sporty, non-sporty, the not-yet-sure: you can't tell the difference from the smiles on their faces. There's nothing for the PE Coordinator (or any of the teachers) to do... the Sportivater and Athlete take over the running of the event and organise the exercise for all the kids. The only question we hear teachers ask is "When can we do this again?" The "spotty dog"... who invented that name? It certainly appeals to kids. It's a terrific little exercise that even top athletes use to train and is great for developing finer coordination skills. If you're the PE Coordinator, you'll want to use this opportunity to watch the children through their circuits to see how each individual is developing, and take the time to spot which skills you're going to help them work on next. If you can drag your eyes away from the excitement and smiles in the hall that is! The Invictus Games is an international sporting event for wounded, injured and sick servicemen and women, both serving and veteran. The event uses the power of sport to inspire their recovery, support their rehabilitation and generate a wider understanding and respect for them Invictus competitors are extraordinary role models to showcase the value of developing grit, resilience and perseverance to your pupils and teachers alike. How's this going to help your school and make a difference for the pupils? What's involved? How easy is it to have an athlete visit my school? Are you wondering what a Sports for Schools event is all about? Who will we meet and what are we going to do? SPORTS for SCHOOLS encourage young people to live a healthy life: we challenge, surprise and excite children to do just that. By giving primary school pupils an opportunity to enjoy pushing their physical limits, we help turn “I can’t” into “I can”. 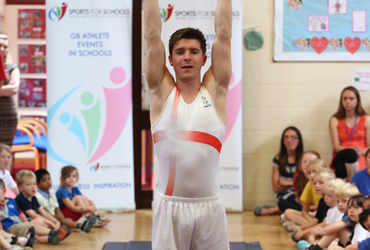 SPORTS for SCHOOLS athletes represent Great Britain and Ireland at the highest level in various Olympic disciplines. 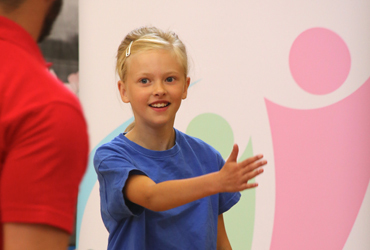 Inspirational role models for primary school children, our amazing athletes come into your school to motivate the pupils through their stories and engage with them via fitness and fun. PE; Physical Education or Public Embarrassment?